After our beautiful event in Lauschangriff we are proud to announce our second gathering broaching Sound System Culture and its different aspects. This time we will be focussing on Sound System and Rave Culture of the 90ies, bringing to you delicious food from our VoKü to gather strength for the hours of dancing to come afterwards. Another highlight will be our little quiz questionnaire! 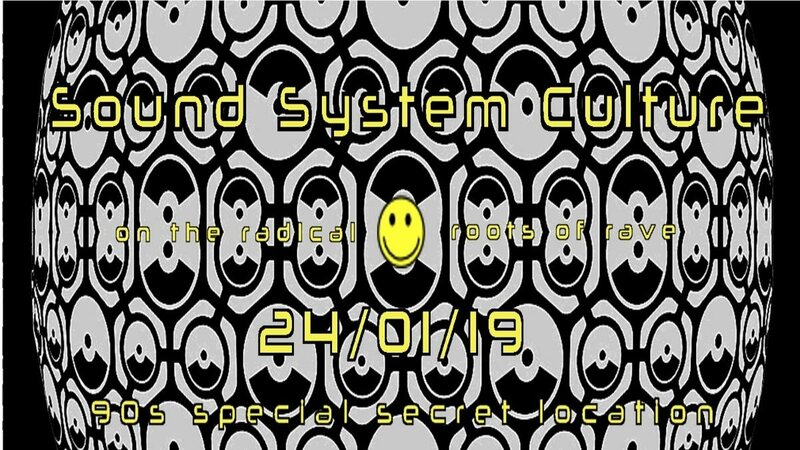 We will display content about historical events and developments in Sound System and Rave Culture, where the guests can find the information needed to fill out our quiz. Eventually we will listen and dance to DJ sets prepared with love - bringing to you to vibe of the 90ies with acid and rave tunes. This event will be taking place in a secret location in Friedrichshain area. Please contact the event hosts via PM or message us at soundsystem.culture@protonmail.com to find out all the details.